The Jaywick Martello Tower project was one of Haring Woods’ most ambitious creative and strategic initiatives. Jaywick is a unique coastal community in Clacton, Essex, UK. One of the original East coast holiday resorts, its roots are in the ‘plotlands’ movement of the 1930s when it was settled by Eastenders escaping from crowded conditions in the capital. Jaywick is rich in heritage but has suffered in recent years from a poor image, with media reports focusing on crime and the risk of severe future flooding. This had left the community feeling defensive, though most have remained passionate about the history of their town. 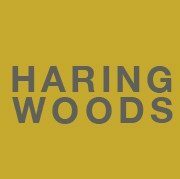 Over 3 years Haring Woods worked on a series of connected projects in Jaywick, in partnership with Essex County Council, Creative Partnerships and private sector developers to create a business plan for a renewed community facility that formed the focus of the Tendring District Culture strategy also written by Haring Woods. The challenge Haring Woods addressed in Jaywick was to establish a neutral way to positively engage the community with their changing environment and provide a positive way to frame the future of the town. Our work began with a Jaywick Rocks, a Perception AREA project which used digital artist Karen Lois Whiteread to consult with the community and galvanise them into considering new ambitions for their area. The activity was hosted at Jaywick’s Martello Tower, a former military fortification on the seafront that had previously been regenerated into a cultural centre, but had not yet secured a sense of local ownership. Through Jaywick Rocks Karen reintroduced the tower to the local community and over time it became identified as the ‘neutral’ space that was needed. As a progression of Jaywick Rocks, Haring Woods developed a number of creative consultation projects, which helped to focus debate about the town’s future, feeding into the final business plan for the role of the Jaywick Martello Tower, which Haring Woods were commissioned to write by Essex County Council. The tower has since established a strong brand that inspires quality programming, with a committed group of ‘friends’ supporting creative collaborations on the themes of Community, Heritage and Environment. It has become an integral part of the town’s daily life, providing a gallery, workshop space and meeting point all in one. Jaywick Wicked! Commissioned by Haring Woods/Landscape+Arts Network Services for Essex County Council, with funding from Arts Council England East, Essex County Council’s Genius Loci programme, it was a collaboration between Alex Murdin and David Cotterell. This collaborative arts project aimed to explore the ‘essence’ of Jaywick – the social, cultural, historical and environmental elements that contribute to a ‘sense of place’. Drawing on the ancient Greek concept of ‘arcadia’ as an idyllic vision of the wilderness, Arcadia Revisited looks again at the original utopian vision that led to the creation of holiday communities such as Jaywick. The project set out to engage with the community, and provide new information to be used by regeneration professionals to inform the future development of the area by developing creative research on new possibilities for leisure and tourism in a coastal context. Out of this came the Jaywick Tourist Board http://www.jaywicked.org, developed as a response to this unique location. Consisting of a number of “psycho-geographic” tours on the internet and as an audio tour, it features the voices of local people and documentary photography of the village’s architecture and surrounding landscape. Tours are offbeat and blend both fact and fiction, making a note of things that have happened in Jaywick and things that might have happened in another place and time, fleeting impressions of travel and movement. The overall objective is to get people, both residents and visitors, to see Jaywick with new eyes and thinking about new futures for the community. Clean Slate started with 17 blank canvases, a box of paints, brushes, and pens as a chance for visitors to express thoughts on their community. Over 2000 visitors contributed and the material was then used by local artist Rosemary Mackinder in an exhibition Cross Fade which responded to some of the contributions to create new and exciting artworks.